I read over the weekend that not a single Volvo XC90 occupant has died in a car-to-car accident in the UK, according to official Government crash figures. The statistics, provided by the police as a result of personal injury accidents on public roads, show that no XC90 driver or passenger fatalities have been reported since records began in 2004. The XC90 has been at the forefront of SUV safety ever since the first-generation model was launched in 2002. It was the first SUV in the world to be fitted with Roll Stability Control, which measures the car’s roll angle in extreme manoeuvres and activates the stability control system to reduce the risk of a rollover accident. The second-generation XC90, launched in 2014, came with two world-first safety aids, namely ‘Run-off Road Protection’ and automatic emergency braking at junctions. Should the car inadvertently leave the road, Run-off Road Protection automatically tightens the front seat-belts to keep occupants in the safest possible position. To help prevent spinal injuries, a collapsible energy-absorbing section between the front seats and seat frame cushions the vertical forces that can occur if the car lands on a hard surface. The XC90 was also the first car in the world to feature automatic emergency braking that activates if the driver turns into the path of an oncoming vehicle at a junction. Volvo’s pioneering safety technology goes beyond protecting those inside the car, however. The XC60 mid-size premium SUV was the first car to come with automatic emergency braking as standard when it was launched in 2008, while every new Volvo model has been fitted with this life-saving technology since 2014. The latest version of automatic emergency braking can even detect pedestrians, cyclists and large animals, helping to keep all road users free from harm. Volvo has an exceptional record in official crash tests, too. 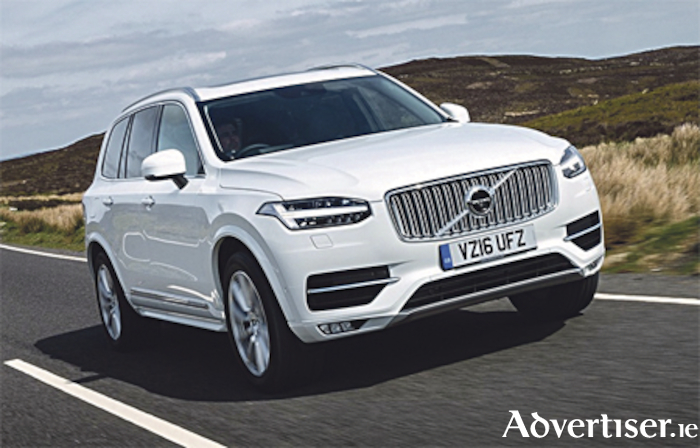 Both the latest-generation XC90 and XC60 were named the car with the best overall performance of the year when they were tested by safety organisation Euro NCAP in 2015 and 2017 respectively. This continued focus on safety innovation and real-life accident data is all part of Volvo’s Vision 2020: that no one will be killed or seriously injured in a new Volvo car by 2020.